This spare set of drones and reeds is the perfect accessory for any bagpipe player. 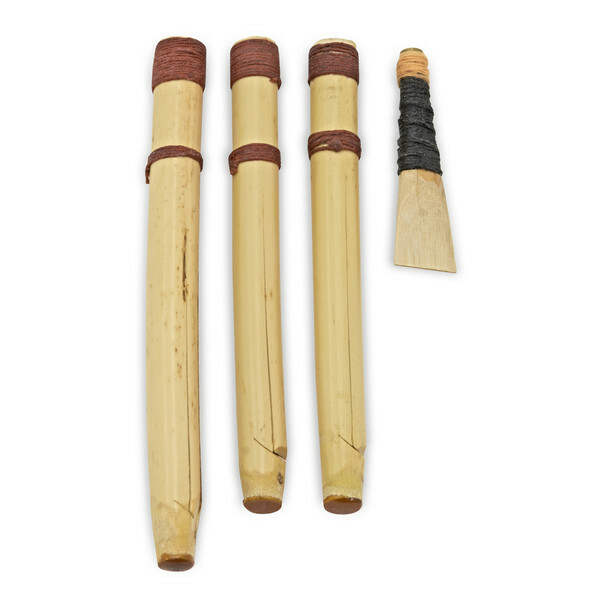 Featuring three high quality cane drones and a chanter reed, this set allows the player to completely change and revamp any set of bagpipes. Producing an authentic tone, these reeds are a must have for beginner bagpipe players. Also comes in a handy box that can fit in to a case or gig bag ready to be used in case of emergency.